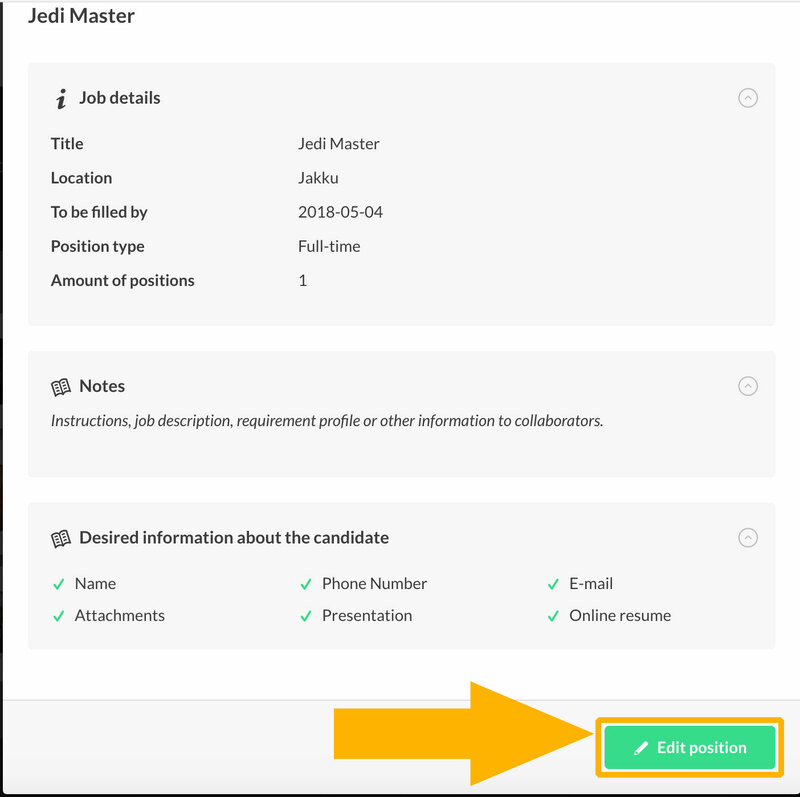 With evaluation criteria’s you and your collaborators evaluate each competence, skill or requirement separately for an even more precise evaluation of each candidate. 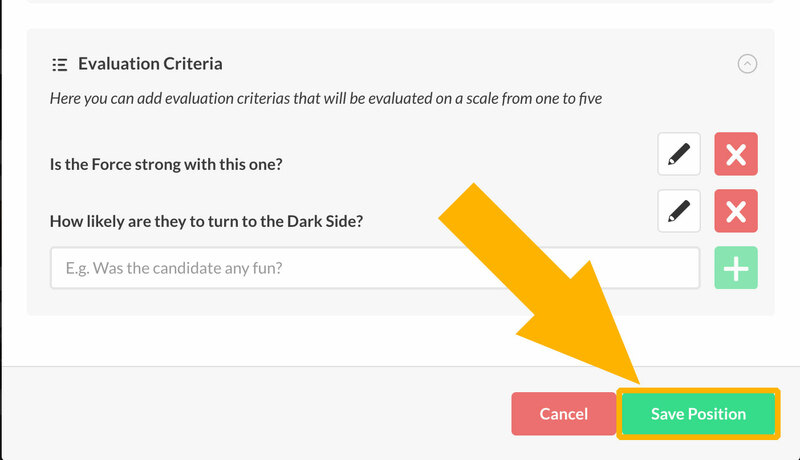 Scroll down to "Evaluation Criterias"
Type your criteria in the text box. E.g. result oriented, collaboration ability, excel skills. 1-5 for each collaborator invited to the position.